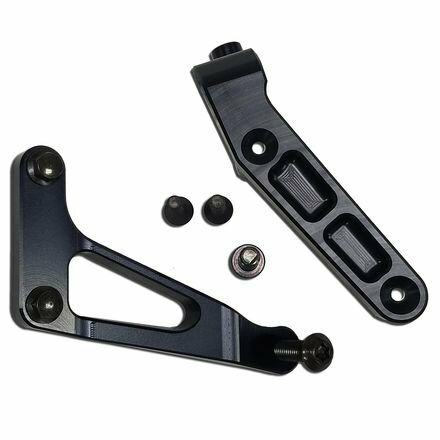 Graves Motorsports Steering Damper Mount. This damper mount requires the removal of the key switch; this must be done in order for the steering damper to mount properly. The key switch will have to be replaced with a toggle switch mounted on the fairing bracket (sold separately). Graves Motorsports does not provide instructions or tech support on how to relocate and rewire the switch.